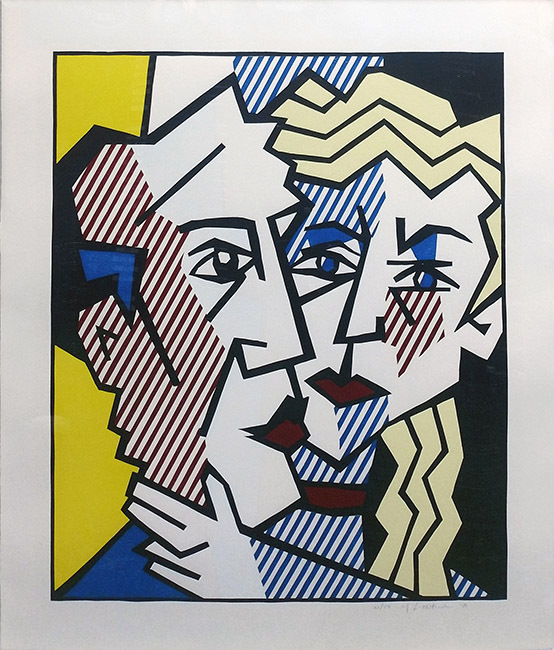 Description: The Couple, from The Expressionist Woodcut Series. Woodcut in colors with embossing, on Arches Cover paper. Hand signed, numbered and dated in pencil. Edition of 50 (there were also 13 artist's proofs). Published by Gemini G.E.L., Los Angeles, with their blindstamps and inkstamp on the reverse. Image: 33.5 x 29.375 in. Sheet: 40 x 36 in. Artwork is in excellent condition. Certificate of Authenticity included.